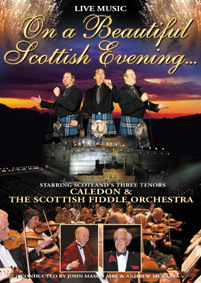 THE SFO is Scotland's foremost traditional fiddle orchestra. It is a musical ambassador for Scottish Music around the world. Audiences come back to hear it again and again. The inaugural concert was held in Aberdeen Music Hall in 1980, bringing together some of the best players from Fiddlers Rallies across the country into a permanent Orchestra. Since then it has widened its repertoire, drawing inspiration from the pen of its founding Musical Director, the late John Mason MBE. The Orchestra now plays about 6 concerts per year, usually held in the Royal Concert Hall, Glasgow, the Usher Hall Edinburgh, Perth Concert Hall, Aberdeen Music Hall, Dumfries, and a major venue in elsewhere in the UK. It has toured to enthusiastic crowds in Ireland, Canada, Australia, New Zealand and China. The SFO is proud to have played for Royal events in Buckingham Palace, at Windsor and Balmoral as well as at the Scottish Proms and at the opening of the Scottish Parliament. The SFO plays exciting fun-filled concerts of music song and dance. Rhythmic Jigs, Reels, Marches and Strathspeys and other pieces in Scottish dance styles are mixed with nostalgic slow airs, songs and tone poems. On stage the orchestra is normally joined by dancers, singers and a pipe band. The SFO's recordings cover the range of these orchestral styles. The delicate slow airs written or arranged by John Mason are a particular speciality, and contrast with the gigantic sound of the full orchestra with pipe band which fills even the largest venues. Members of the SFO number approximately 120. They come together from all over Scotland, and other parts of the UK, making this a truly National Orchestra. The line up includes 'cellos, basses, accordions, flutes, percussion, a solo piper and piano, as well as first and second fiddles. The normal playing strength is about 80. The SFO is a registered charity, with aims directed at promoting Scottish Music, and it has also generated over £1m for other charities since 1980. The SFO organises and promotes all of its own concerts in the UK. Almost uniquely the SFO is run by a Board of Management, comprising some 12 members of the Orchestra, who aim to maintain a happy and enthusiastic membership, while continually improving the quality of the music and striving to bring joy and happiness to its listeners. Entry is by audition, and there is normally a waiting list. The members are not paid for their performance, and give freely of their time. Concert audiences sense and share the enjoyment of the players, and they frequently dance in the aisles! The SFO hopes that you enjoy its recordings. "It was party time when the fiddlers came to town"
"Belfast gripped by Fiddle Fever"
"And even the Queen wanted to dance"
"A feast of Scottish culture served up with great flair"
"Rapturous Reception for Scottish Fiddle Orchestra"
"Scots rock and reel the night away" "A full house...cheered and whistled like teenagers at a rock concert" "This instrumental and vocal ensemble is every expatriate Scot's dream event"
The Scottish Fiddle Orchestra is made up of around 120 of some of the finest players drawn from all parts of Scotland. They perform all over the United Kingdom and have Toured overseas many times in recent years. With their patron, HRH The Princess Royal, this Orchestra dedicates its performances to innumerable charities and also keeps alive the Scottish fiddling tradition with its huge repertoire. A collection of the finest and most entertaining Scottish fiddle music all on one fantastic album. The 21st birthday concert of The Scottish Fiddle Orchestra, played in Aberdeen almost exactly on the anniversary of their very first concert in the Grand Hall. Reflecting the high spirits of this celebrations and the commitment of the Orchestra to keep Scottish music alive and well. For more than 30 years REL has been working within the Scottish music scene to record and present Scottish/Celtic artists to the world. With an extensive, specialist range of traditional and contemporary Scottish music and entertainment, available through high-street stores, by mail order and online, REL offers quality recordings at great prices.